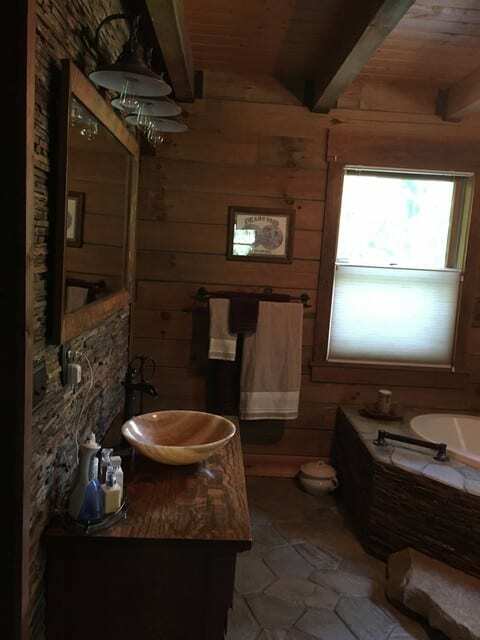 This log cabin was in the city. 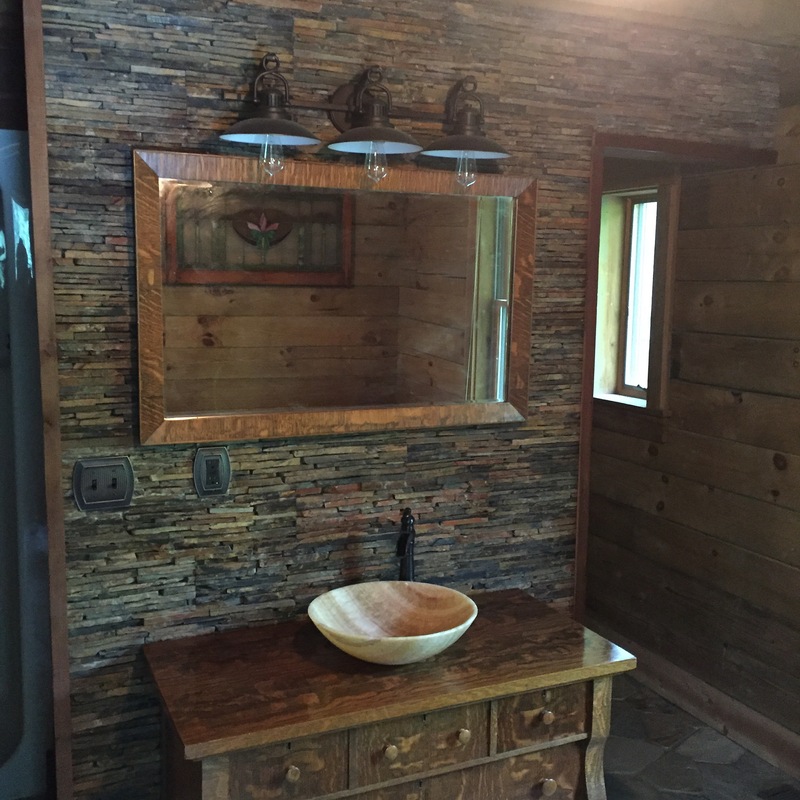 Client wanted a rustic feel with an easy flow. 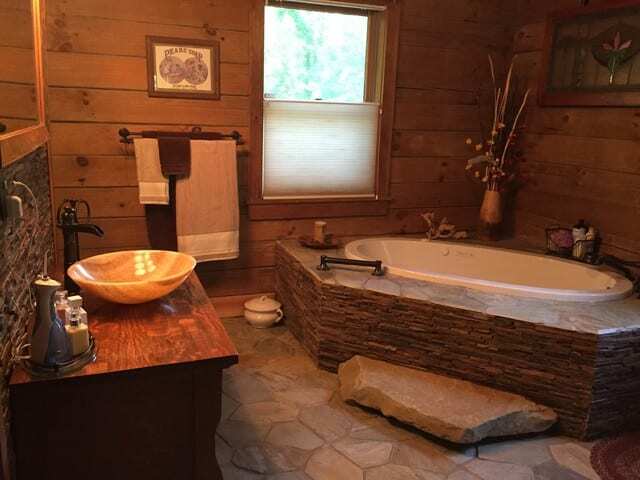 Several ideas were tossed around and we decided upon a flagstone floor. 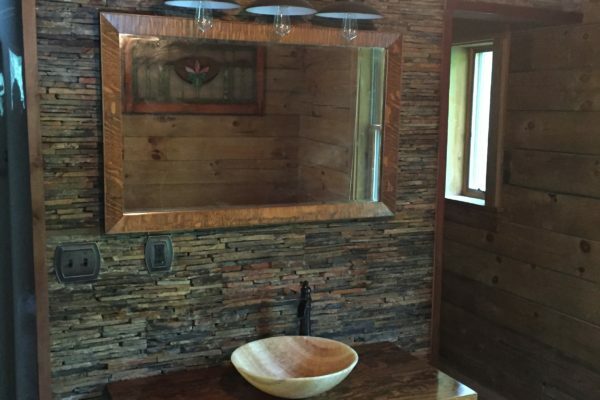 We wanted to add character to the walls without taking over, so we did drystack stone to accent the vanity. 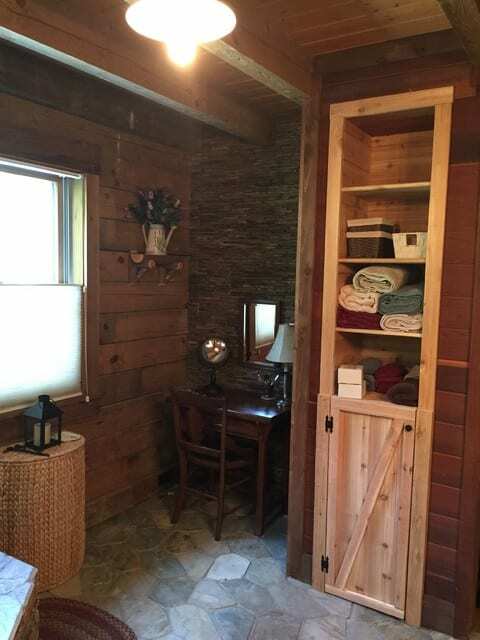 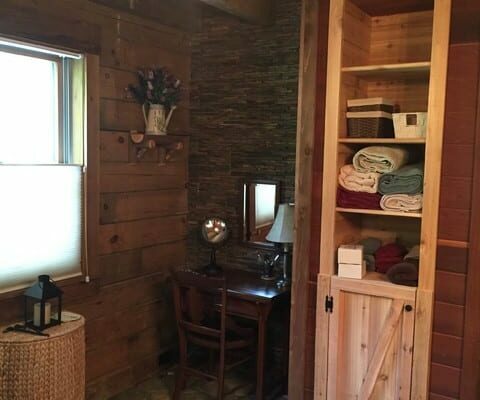 We also built in a cedarwood area for towels and storage. 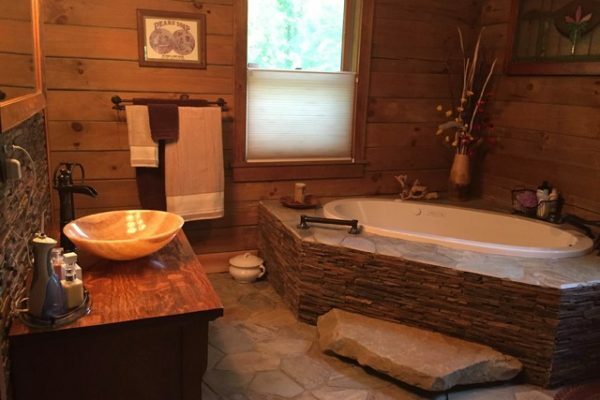 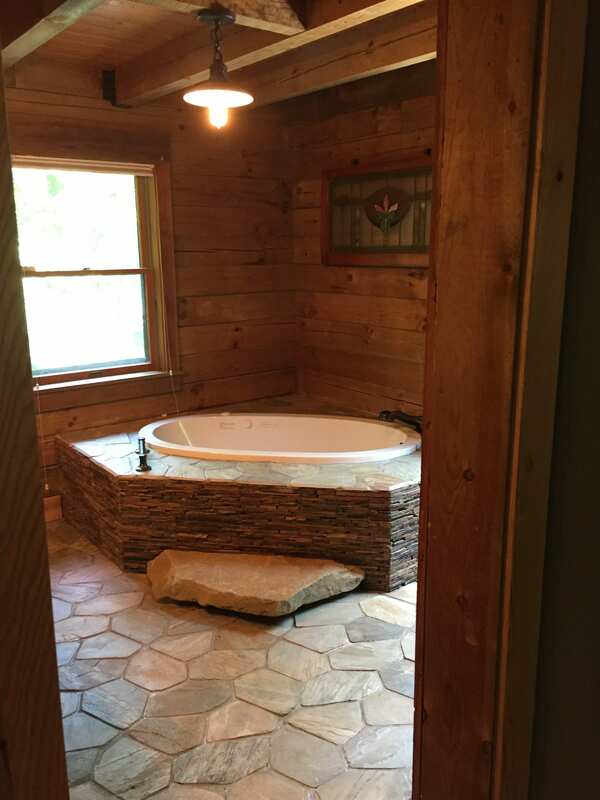 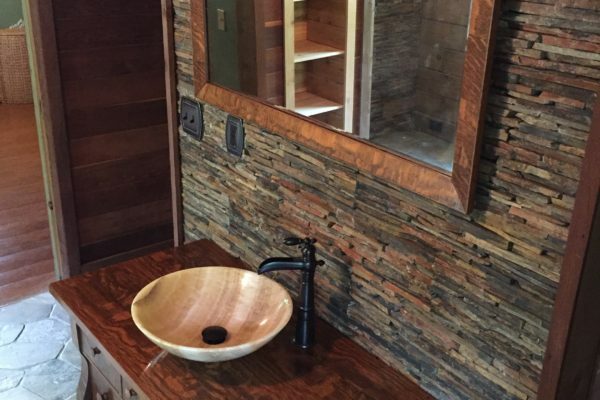 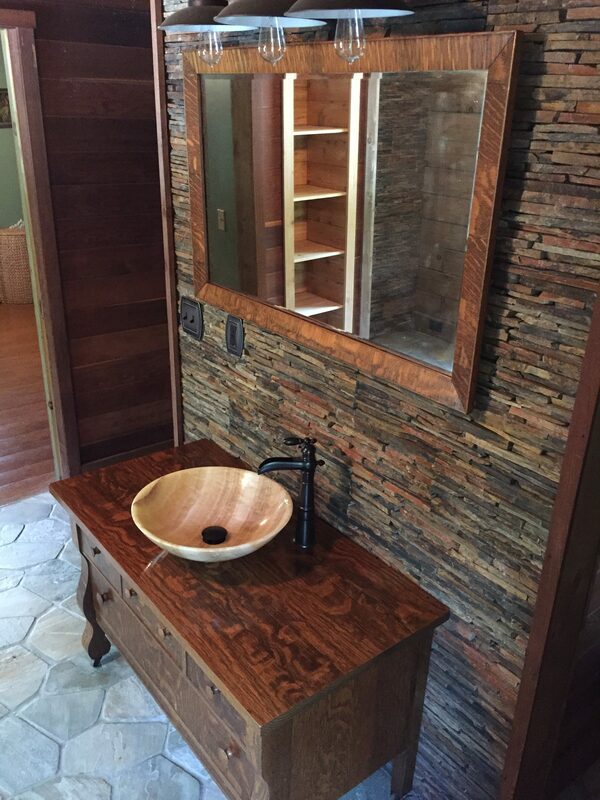 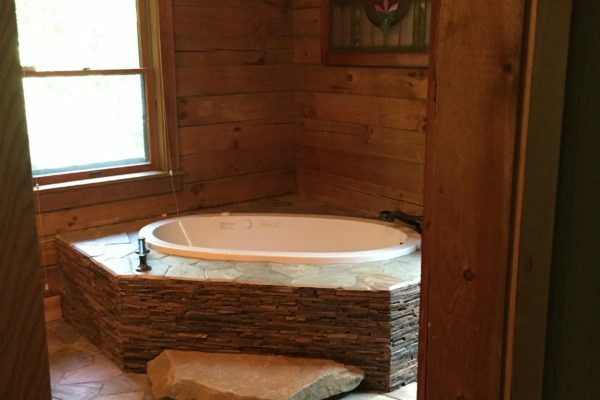 For easier access to tub we built a beautiful step up instead of a built-in one- used this beautiful sandstone rock and cut it to dimension, while still obtaining the overall look. 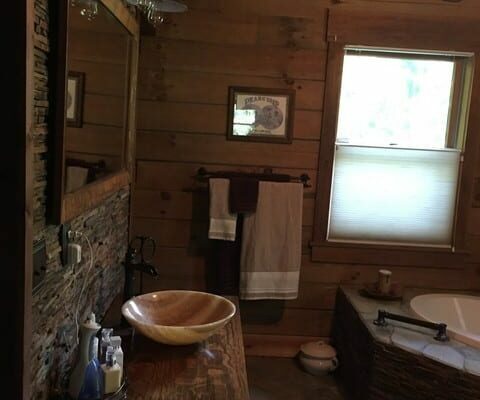 Stock vanities weren’t working, so we took an antique dresser with a vessel sink bowl and made it cohesive.